Christos Kokkinos was born in Thessaloniki, Greece. After graduating from the Royal Northern College of Music with BMus(Hons) in violin performance, he decided to further his studies with a Postgraduate Certificate in Music Education, specialising in teaching. He moved to London in 2001 and established a highly successful Greek band playing in many festivals nationwide with the support of Lord Menuhin's "Live Music Now" Scheme. 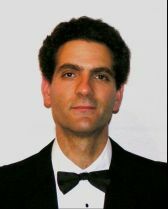 Alongside his teaching career, Christos has freelanced with professional orchestras and has played under the baton of many distinguished conductors such as Kent Nagano, Diego Masson and George Hurst. Christos has a diverse taste in music and he feels very passionate about World music. He enjoys his post as Assistant Director of Music at Queenswood School where he is able to inspire and encourage young people to appreciate music.